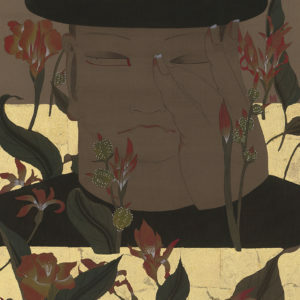 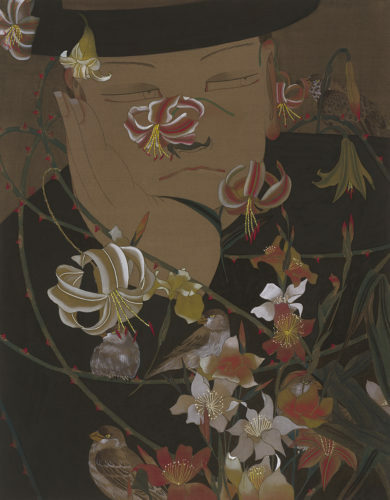 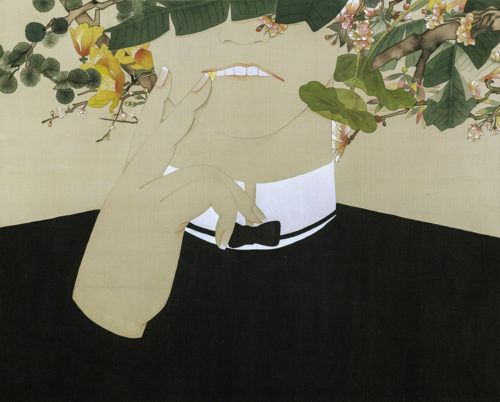 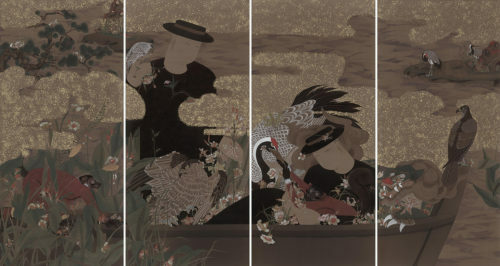 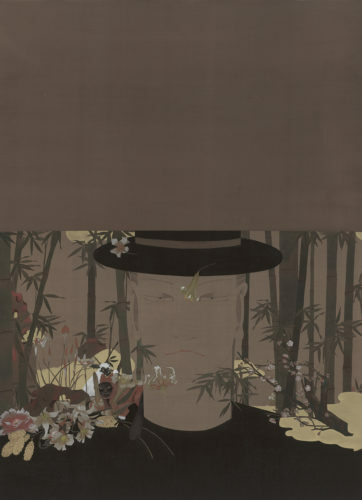 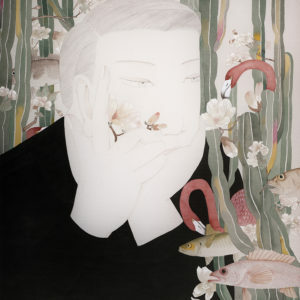 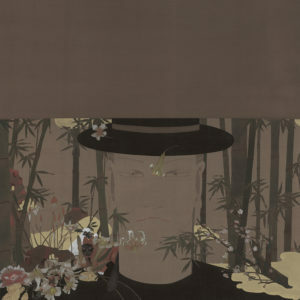 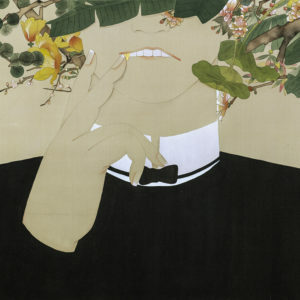 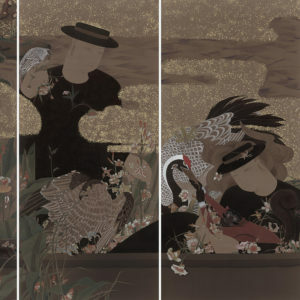 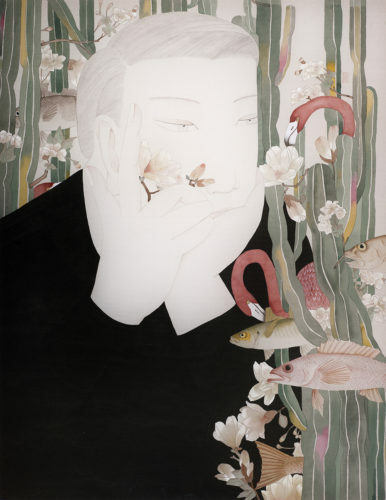 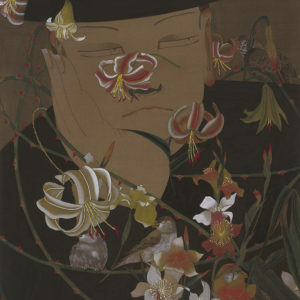 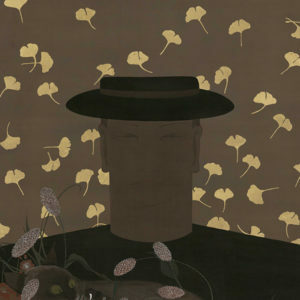 Works of Di Qing drawn with black ink and Asian pigments on silk screen comingle classical style with modernism, historical phantasmagoric imagery with mundane still life images of strawberries or fish, that is to say, mixture of reality and fantasy. 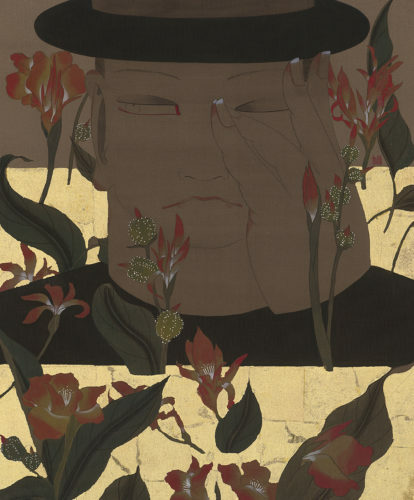 Her story of travelling imaginary nobles continues on and on sprinkled with humor like a merry-go-round without knowing when it started or will end and changes the stage one after another. 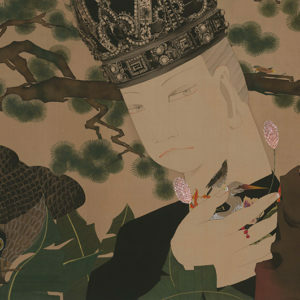 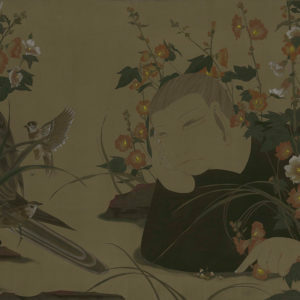 In the turmoil of modern art, as one of Chinese artists, she utilizes classical technique and builds up boldly her own world and challenges enthusiastically against world art scenes, yet she stands aloof in her serene spirituality. 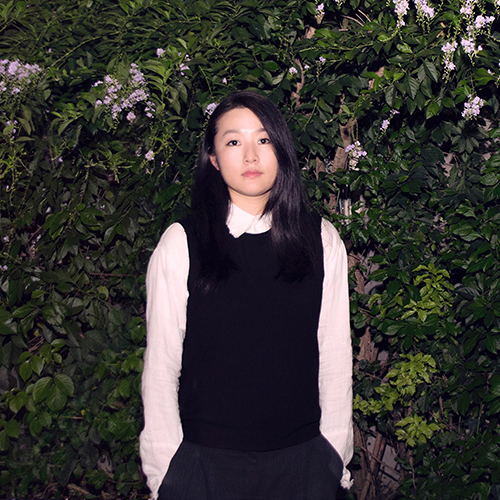 She herself has been traveling through China, Taiwan, and Japan and now Europe, updating her experience and world.